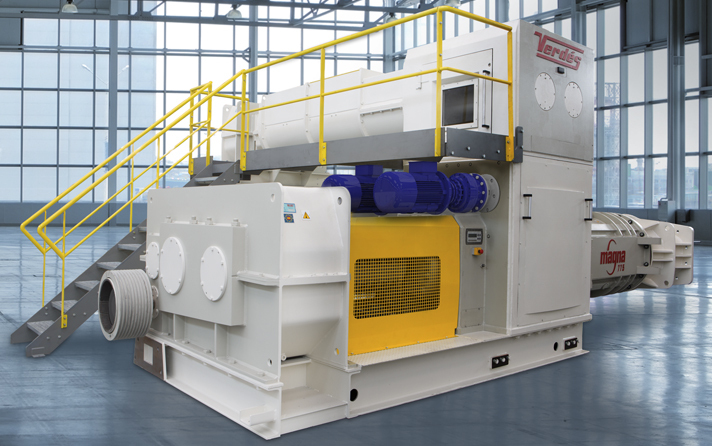 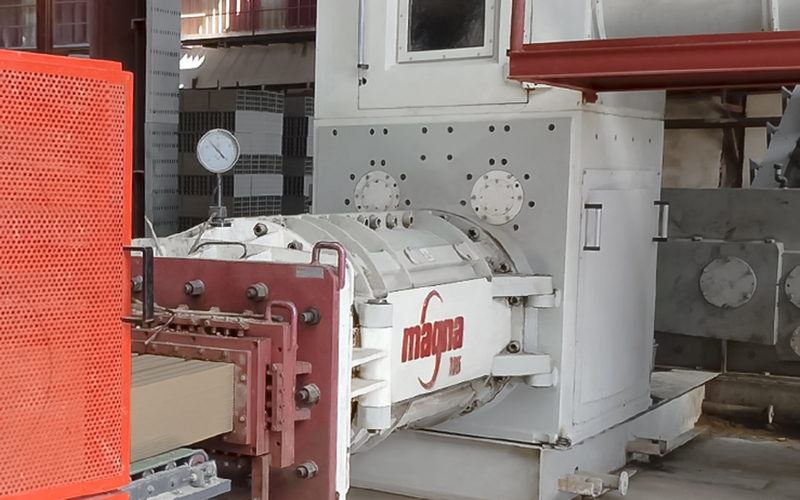 The clay brick and tile Magna extruders (pugmills) are designed to achieve best performance, minimized maintenance tasks and reduced operation cost, whilst operating in the most demanding of conditions. 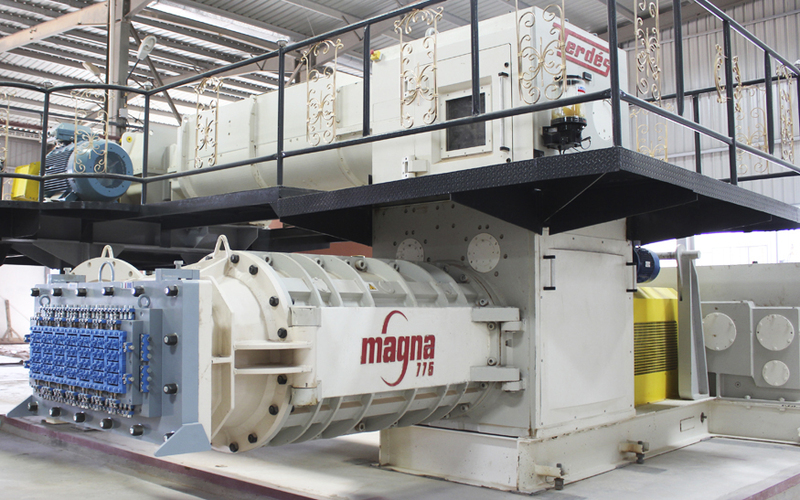 The Magna extruder and pugmill range gathers every Verdés experience of extruding clay products to be the leading edge of Vacuum Extruders also commonly used for briquetting different kind of mineral wastes. 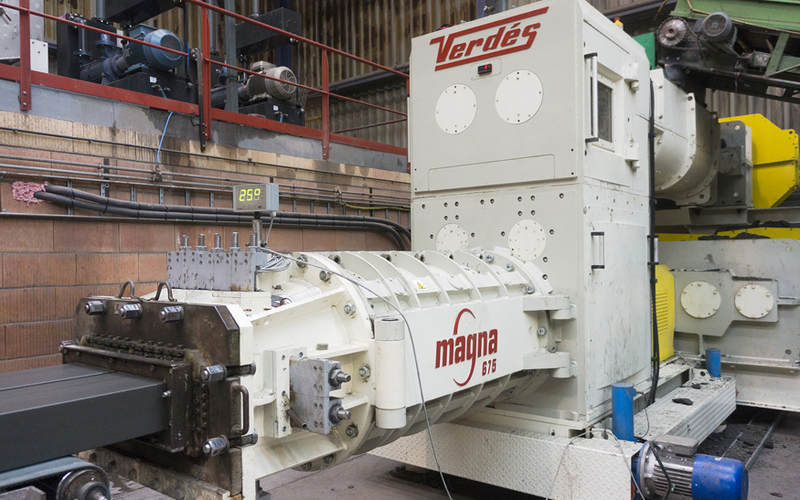 A wide range of sizes and configurations - with augers from Ø 400 to Ø 775 mm – allow the Magna to provide excellent flexibility and adaptation to differing extrusion conditions.